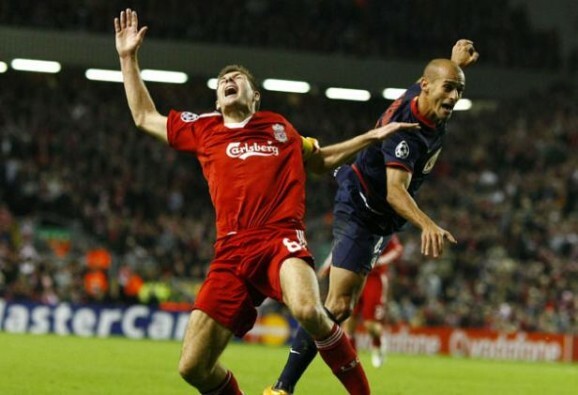 It may be called “the beautiful game,” but soccer is full of bad acting. If fans want their sport to be taken seriously by fellow Americans—in other words, thrive here—they need to shun diving from the game at all levels. Otherwise, tough-loving American sports fans will never embrace the sport. And soccer fans in general will continue to get an inferior product. Anyone who has watched a single match of international soccer recently is more than familiar with diving, an act where the player with the ball dramatically falls to the ground and fakes injury in an effort to draw a foul, almost always after being challenged by a defender. The unsportsmanlike conduct has increasingly plagued the sport over the last decade, as FIFA has been unable (or unwilling) to regulate the exploit. Admittedly, FIFA officials have started yellow carding offenders, but so far it’s been too little too late. As Lalas sees it, Americans shouldn’t try to craft our own unique brand of soccer, nor should we try to improve it. We should simply play by international convention, like gentlemen, and hope our friends across the pond noddingly approve. If Lalas had his way, there would be no game-changing strategies in sports. Everyone would just play along. Granted, so-called flopping exists in basketball. And drawing a foul, baiting an opponent, or embellishing for effect occurs in other sports—something Lalas is quick to bring up. But said instances are no where near as notorious (or as laughable) as diving in soccer. Even so, it’s no excuse for tolerance (aka “But everyone else is doing it”). In criticizing diving for ruining soccer, Reuters’ Erik Kirschbaum recently wrote, “When I go to the theater, I wouldn’t expect to see a soccer match break out on stage. And so when I’m watching a soccer match I don’t want to see theatrics.” Kirschbaum is right, but not everyone sees it that way. Some say diving significantly increases the chances of winning, and so players will continue to dive for the edge. That may be the case, but I won’t believe it until someone backs it up with stats. For every blatant diver, there’s a player who wins the good old fashioned way: with boldness. Unfortunately, even star American players are feeling pressure to conform when competing abroad. In February, leading U.S. goal scorer Landon Donovan employed a cheap parlor stumble in the box to draw a penalty kick against Chelsea. The soccer press called it a “smart run” instead of stating the obvious: a European-sanctioned dive. Donovan’s team converted the penalty for a goal and won the game 2-1. But it was a short term gain for his club, and long-term loss for both the sport and American youngsters hoping to play their own way. Sadly, in diving for Everton, our best player ever told aspiring U.S. players that you need to play by international conventions if you want to compete, even though Donovan himself played by his own more sportsmanlike rules until recently (hopefully temporarily). Say what you will to defend diving. Call me arrogant for suggesting America play soccer differently or that the sport needs improving. Just know that diving makes the game uglier. And how can we call it the beautiful game if stunts like the below happen regularly?